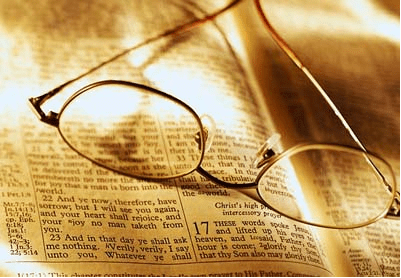 Devotional: Keep My Words - Jimmie Aaron Kepler, Ed.D. My son, keep my words and treasure up my commandments with you; keep my commandments and live; keep my teaching as the apple of your eye; bind them on your fingers; write them on the tablet of your heart. – Proverbs 7: 1-3 Crossway Bibles (2011-02-09). The Holy Bible, English Standard Version (p. 531). Crossway. Kindle Edition. Proverbs 7:3b teaches one way to keep God’s teachings. It says, “… write them on the tablet of your heart.” When we internalize Scripture through memorization of the Word of God, His Word is in our heart to guide us. God’s desire isn’t to keep us from having fun, but rather to protect. As Christian writers, we need to know and follow God’s Word. How we live is just as important as what we write. Devotionals for Writers: Keep My Words by Jimmie A. Kepler is licensed under a Creative Commons Attribution-NonCommercial-ShareAlike 3.0 Unported License.